President Obama has said that one reason for negotiating the P5+1 agreement with Iran is that it will prevent a nuclear arms race in the gulf region. Others have said fearing a nuclear Shite Muslim Iran, the Saudis and possibly other Sunni Muslim States would pursue nuclear weapons as a matter of self-defense. Jamal Khashoggi, a Saudi journalist with ties to the royal family, has made it official: the kingdom is pursuing nuclear weapons. "I think Saudi Arabia would seriously try to get the (nuclear) bomb if Iran did. It's just like India and Pakistan. The Pakistanis said for years they didn't want one, but when India got it, so did they. Apparently some close to the ruling family have warned that if Saudi Arabia develops a nuclear weapons program, they run the risk of becoming a pariah state like Iran and rupturing ties with the U.S. But Khashoggi doubts whether the U.S. would rupture ties with the Saudis, especially with that huge supply of "black gold." "I'm sure Saudi Arabia is ready to withstand pressure. It would have moral standing. If the Iranians and Israelis have it, we would have to have it to," said Khashoggi regarding Saudi ability to withstand sanctions, arguing that the oil export would protect it from pressure." As the P5+1 talks inched closer to a deal, Saudi Arabia began trying to improve its nuclear power infrastructure. Defense News reported an end of June deal with France. The deal includes a study into the feasibility of building two nuclear reactors in Saudi Arabia and a course in nuclear safety. The study for two European Pressurised Reactors (EPR) — which France considers the safest and most advanced in the world — takes on added significance given the current efforts by Saudi Arabia's rival, Iran, to develop its own nuclear capabilities. In addition to the study, France will sign an agreement to train the Saudis on nuclear safety and the treatment of nuclear waste. Also at the end of June Russia and Saudi Arabia announced an agreement for cooperation in the use of nuclear energy for producing electricity and the construction of two more nuclear reactors. And in March Saudi Arabia and Argentina announced a joint venture with a goal to leverage Argentina's nuclear experience and capabilities to help the Saudis implement its own nuclear power program. There is nothing to indicate that the Saudis will use those programs to develop nuclear weapons, and they may not have to. In mid-May the Sunday Times of London reported that Saudis who financed much of Pakistan’s nuke program, "will join the nuclear club by buying “off the shelf” atomic weapons from Pakistan. 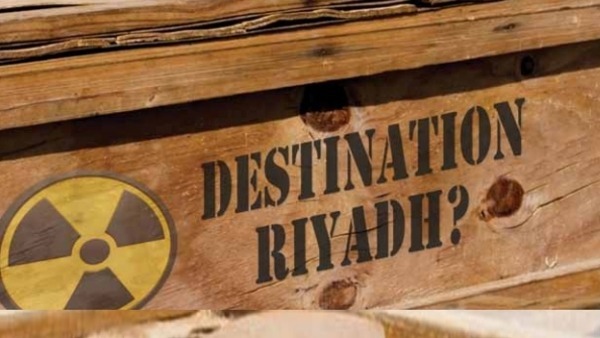 Whether they are looking to purchase some bombs from Pakistan or develop their own, all indications are that the P5+1 deal is motivating Saudi Arabia become a nuclear weapons state. Indeed things have changed thanks to the P5+1 deal and despite what we have been told by the administration, not for the better.